Crafter. Scrapbooker. Graphic Designer. Mum to twins (a boy and girl). Dabbles in gardening. Love to travel and discover new places and meet new friends. IMPORTANT REQUEST: I'M A RESPONSIBLE SWAPPER. IF I SIGN UP FOR A SWAP, THAT MEANS I WILL SEND IT ON TIME. HOWEVER, AS I DO NOT HAVE CONTROL OVER MAIL DELIVERY TIMES, I HOPE YOU WILL CONSIDER DELAYING THE RATING AND NOT INSTANTLY GIVE ME A "1" JUST BECAUSE MAIL HAS NOT ARRIVED. SOME MAIL TAKES A WEEK, SOME EVEN 2 MONTHS. SO PLEASE UNDERSTAND. Grew up with the 80s music. Love various genres but favourites are mostly pop music, some oldies, and jazz. I read a variety of books esp love a good mystery/thriller, crafting and some romance. My favourite authors are Patricia Cromwell, Elizabeth George and Mary Higgins Clark. Enjoy scrapbooking as I get a chance to play with paper and a different medium which is different from my work. I love to sew, crochet and knit when I get the chance. I enjoy seeing the finished stuff being used or worn. I'm still learning to do a bit of embroidery. LOVE snail mail. Growing up, I used to have a lot of penpals and kind of missed that and so trying to start again. I'm easy to please and wouldn't mind receiving any postcard with stamps and even with a written message. Please no free/advertisement postcards. Other than postcards, I've gotten hooked on ATCs and art journaling. I enjoy swapping simple mail (letter, cards, etc. ), washi tapes, stickers, Project Life journal or filler cards, crafting supplies, granny squares, fabric squares for quilts, etc. NOTE: I spend a lot of time thinking about the what I send to my partners and also invest in time making them. I only request is that I also hope to receive something that is worth saving. Please NO chocolates or candies because sometimes mail takes a while. I wouldn't mind tea as it gives me a chance to try tea from other places. 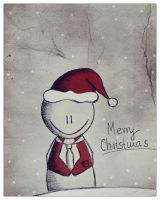 Comment: Dear Arlyna, Thank you so much for the Christmas postcard :D It's so nice! It must be fun to live in Shanghai! Comment: The flowers you created were beautiful and adding the leaves in a "secret" compartment was genius! Comment: Thank you for the post card. Great job. Comment: I LOVED the panda PC. Please put the name of your swap on the PC, though. I am in several PC swaps and had to wade through them all to find which one was from you. Thanks for the fun PC, though! Comment: Thank you for the lovely ATC and goodies! Comment: What a cute ATC! And thank you for the extra goodies! Comment: For some reason I forgot to rate. The envelope did not have Radeon it so thought I would check. Sure enough didn't. Love the ATC. Comment: I don't think I have a map card from the Philippines. Thank you. The stamps are beautiful too. Comment: Hi Arlyna, a panda is definitely Chinese...how nice that you’ve visited my country. Our son visited China last year, during a school-exchange, he liked it very much...everyone wanted to get a picture with him, he’s very long. Maybe they thought he was a famous person 😂. Comment: Thank you, cute ATC! Comment: It took over 2 months but it made it. Thank you for a lovely atc. And I love the envelope and stamps. Hope your holidays were safe and fun and you are looking forward to a beautiful Spring. Thanks, again and happy swapping. Response: your words warm my heart! thank you so much! Hi there, your handmade postcard was mailed today. Winging its way from So Cal USA to China! Hope it arrives soon. Hi Arlyna, I'm currently hosting a Meet My Country Swap and would like to show you the thread, I'm looking for international swappers who would like to take part :) Here is the link: http://www.swap-bot.com/swap/show/204542 - you are welcome to join!